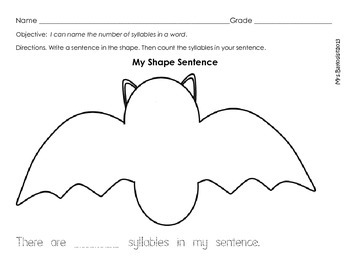 This 9-page packet includes templates for shape sentence writing. 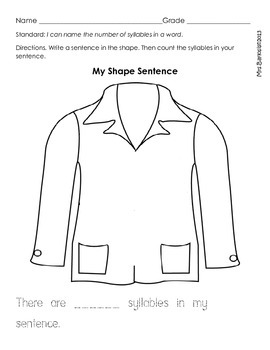 Students write a sentence about each template (e.g. The cat is cute!) 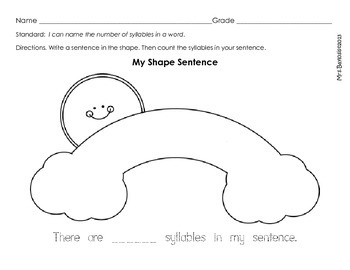 following the shape. 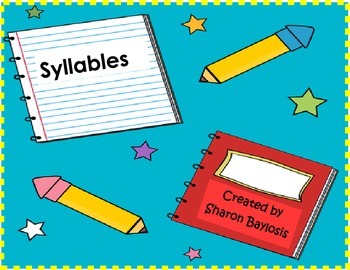 Students in the higher level can also write a shape or a rebus poem and count the number of syllables in a sentence.